Whether converting a spare room into an office or refurbishing a current office, Van Dyke’s Restorers can help with premium desk leather, lamps, library ladders, desk hardware, chair hardware, casters, wall appliques, and accessories. 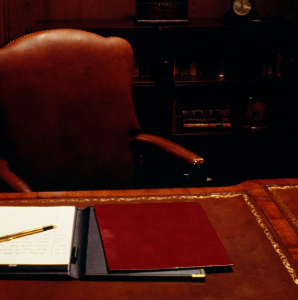 Give your desk a refined and luxurious look with supple desk leather. 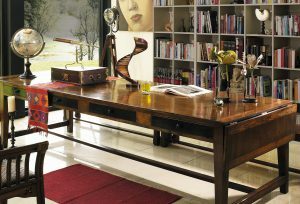 The antique desk leather is offered in eight beautiful colors with choice of 11 embossed edge designs. You won’t find this quality anywhere else! The leather includes two pigment coats and a protective lacquer top, giving the finish a durable yet traditional appearance. It is 1.0 mm thick (approximately 3/64 inch) with a bright, two-tone smooth finish. Update the desk with a new mo rtise lock and key set, keyhole escutcheon, and drawer pulls including the popular hand-carved wood pulls. Replace broken or worn out tambours in a roll top desk with a new oak tambour. Van Dyke’s also has tambour cloth. Dress up your file cabinets with new pulls, label holders, and locks. In a recent blog, I discussed the many uses of casters, particularly for office chairs and cabinets. Don’t forget the walls! Bookshelves are great for displaying family photos, aw ards, and other decorative items. Choose from our wide selection of wood and metal shelf brackets. 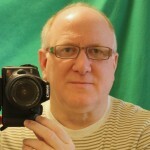 Wood appliques can add a focal point like a photograph or piece of art. Fro m large scroll patterns to botanical flourishes to eagles, Van Dyke’s has dozens of styles of wood appliques to create visual interest on your wall. 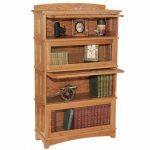 Van Dyke’s also offers furniture kits including the beautiful Barrister Bookcase kit, an Oak Mission Desk, 18-Drawer Apothecary Chest, and Occasional Tables. Add lighting to your desk with a new lamp. 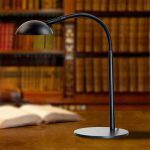 Choose a traditional Banker’s Desk Lamp in many finishes, a classic Amherst-style Adjustable Desk Lamp, or a stunning Tiffany lamp. We also have porcelain lamps, mother of pearl, stone, brass, glass, and a number of contemporary styles to choose from to complement any decor and design theme. A floor lamp is another great option for the home office particularly if there is a sofa or chair in the room. 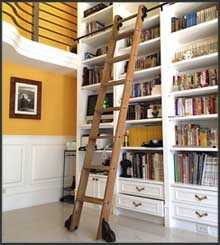 For the larger office with high bookshelves, a library ladder is a beautiful and functional addition and not just for the wealthy. From individual ladder parts to complete kits, Van Dyke’s has everything you need to build a library ladder without paying a high-priced contractor to make one.